I thought I'd try making a cup of turmeric tea after reading about it during my research on the health benefits of this spice and its main active ingredient curcumin. 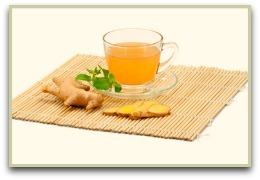 Being a huge fan of green tea and its associated health benefits, trying various other "spiced teas" seemed a good idea! As I'm not suffering from any illness or ailment, I can't vouch for the many exciting turmeric health benefits or whether this tea is effective, but I do test for flavour and taste. All I can say is it's powerful stuff, and the lemon juice mellowed it slightly. If you enjoyed making this turmeric spice tea, then have a quick look at my new book full of healthy spice and herbal tea recipes. Comes complete with 4 bonus digital books. Available as a digital book that you can download and start using immediately. Click for more information. Some of the current research into turmeric spice, and its active ingredient curcumin in particular, seems very promising with some amazing possibilities. Some of the many claims say that drinking this tea can ease arthritis pain, reduce acne, and may prevent certain cancers to name just a few. Click here to read much more on the health benefits. Some More Spiced Teas You May Enjoy!